The Sun Mountain ThermalFlex pullover has been redesigned with upgraded fabric that has more stretch and a softer hand. 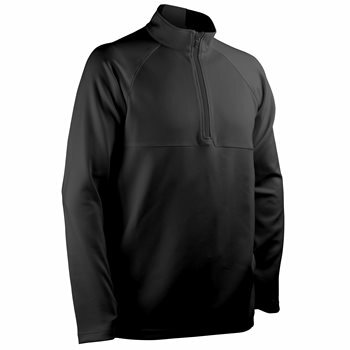 The pullover features a soft polyester shell with significant 4-way stretch that provides comfort and allows movement without restriction. The ThermalFlex pullover is designed with a mock neck for additional warmth, a deep-cut zipper for easy on and off and a locking zipper pull.